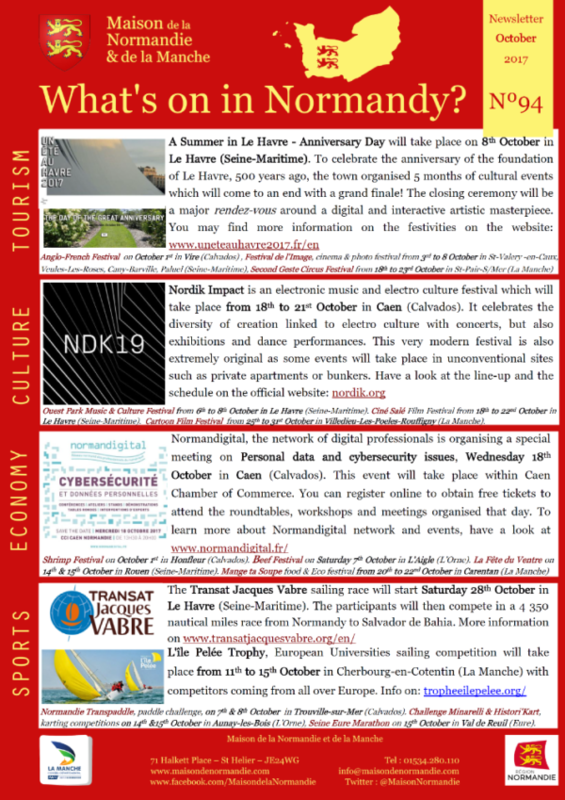 We are pleased to send you our October 2017 Newsletter, to give you information about the events in Normandy! - Normandigital meeting on personal data and cybersecurity issues. You may find this newsletter in our website.